Royal Caribbean are offering all guests aboard its Vision Class vessel, Legend of the Seas, USD$100 bonus on-board credit per stateroom on all new bookings during the ship’s maiden voyage in Australian waters. This not-to-be-missed offer is combinable with RC’s ‘buy one, get one up to fifty per cent off’ deal – both of which are available to book until 30th June 2015 on qualified sailings departing after 20th November 2015. Legend of the Seas – which will home port in Brisbane before the summer season begins – is offering a range of itineraries in Australian waters, and guests must choose a sailing of five nights or longer to quality for the discounts and offers listed above. An example sailing that is eligible with Royal Caribbean’s offer is the 8-night South Pacific Bliss, which departs Brisbane on 18th February 2016. This cruise would cost just $1,149 for the first person and $574.50 for the second, with USD$100 bonus credit to enjoy aboard. This round-trip sailing visits the Pacific Islands of New Caledonia, Mystery Island and Vanuatu. Alternatively, guests can discover the beauty of Queensland’s Coast, with a 7-night sailing departing January 25th 2016. This itinerary would cost $1,549 for the first passenger and just $774.50 for the second, with the benefit of USD$100 to spend aboard per stateroom. Those tempted by Royal Caribbean’s latest cruise deal can also visit New Zealand on a number of eligible sailings departing summer 2016. For a total of $3598.50, two guests can enjoy a 14-night round trip to New Zealand, departing from Brisbane on the 25th January 2016 – with the added bonus of USD$100 on-board credit. The itinerary promises to be unforgettable, with ports of call including Tauranga, Napier, Dunedin, Wellington and Doubtful Sounds. To find out more about Royal Caribbean cruise deals, visit the designated Royal Caribbean page on the Cruise1st Australia website, or call our team on 1300 857 345. 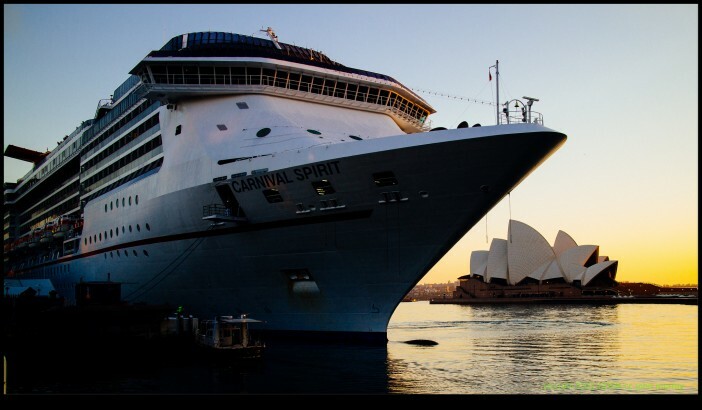 Images sourced via Carnival Cruises Media Centre. Credit: Carnival Cruises.